Looking for roses near Dartford? Thompson’s Plants has the best roses near Dartford in our wonderful collection that is focused on variety − variety in colour (red roses, pink roses, blue roses, yellows and many more) and plant type (climber roses, rambler roses, shrub roses, scented roses, and many more). This makes our garden centre the best place for rose lovers in Dartford and all the other areas around. Climber roses and rambler roses come in quite a few options and are quite popular. Residents of Dartford love climbers with their beautifully designer gardens. While our climber roses near Dartford are a great choice if you are looking for something to cover prominent features of your garden architecture, like walls or arches. Similarly, rambler roses near Dartford grow in an outburst of small flowers and can swiftly cover big structures, like sheds and garages. As with shrubs of any other kind, when you buy shrub roses near Dartford, you will see they grow fast and make their presence known quite fast. They are free-flowering plants and, if you plant a couple of shrubs of roses together, they will become the life of your garden with their wonderfully coloured flowers and fragrances. 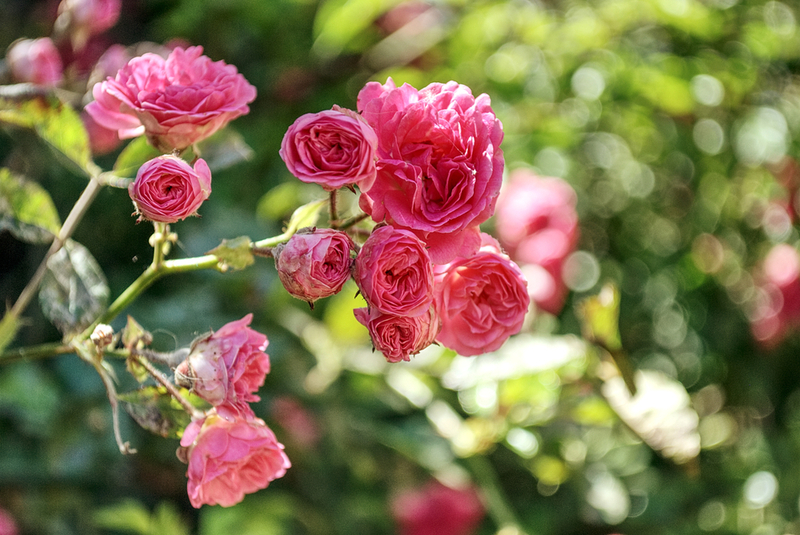 Speaking of roses with fragrance, naturally scented roses come in just about all forms, including climbers, groundcover and more, but they are most common among shrub roses. You can buy a range of scented roses near Dartford whenever you visit our premises. Finding patio roses near Dartford is also quite convenient when you visit Thompson’s Plants Garden Centre. We keep a large variety of container roses, like the very much loved pink Gentle Touch and the pearl white Diamond. Roses in containers can decorate your patio with the majestic presence of roses. Our groundcover roses near Dartford are also very popular because they provide garden owners in the city the perfect excuse to fill large portions of their flowerbeds with expansive growths of roses. If you buy them in varying colours, you can turn the exercise of covering your garden floor into a beautiful experiment of many-coloured roses dancing in the wind. Those are just the most popular types of roses we keep in our nurseries. However, such enviable variety is not the only reason why garden owners in Dartford and surrounding towns prefer us over other nurseries when it comes to their roses and other plants. As a family-owned business of nature lovers and avid gardeners, we have always given a lot of importance to the way our plants are grown. In fact, we make sure all of our displays of roses near Dartford contain plants that have been grown in our premises with our choice of soil, fertiliser and nutrition. With our expert care, the plants we grow to sell are always fresher and more vibrant than any you will buy from a nursery where most plants are put into stock from other facilities. When you visit our nursery near Dartford, you should talk to our rose experts before you choose them for your garden and patio. Our experts are dedicated gardeners themselves and love dispensing advice to our visitors. Tell them about your garden layout and your preferences for the roses you want to buy. With this information, they will be able to point you in the right direction without your getting lost in our endless displays. They will save your time and money by helping you find the best fit for your garden and needs. Read more about roses on our website and keep them blooming! Visit us and buy your roses near Dartford from one of our nurseries!